Next post: Chocolates for Charity is over! UPDATE: All of this year’s chocolates have been claimed. Thanks to all who donated! You can see more photos of last year’s chocolates at http://www.tienchiu.com/2013/11/presenting-the-2013-fall-collection , and read more about my process at http://www.tienchiu.com/other-crafts/chocolate/chocolate-making/ . Anyway: this year, as in past years, I am limiting my “run” to 20 boxes, so the first twenty donors get chocolate. (I’ll send out another announcement when all the chocolates are claimed.) The chocolates will go out December 1, the Monday after Thanksgiving. 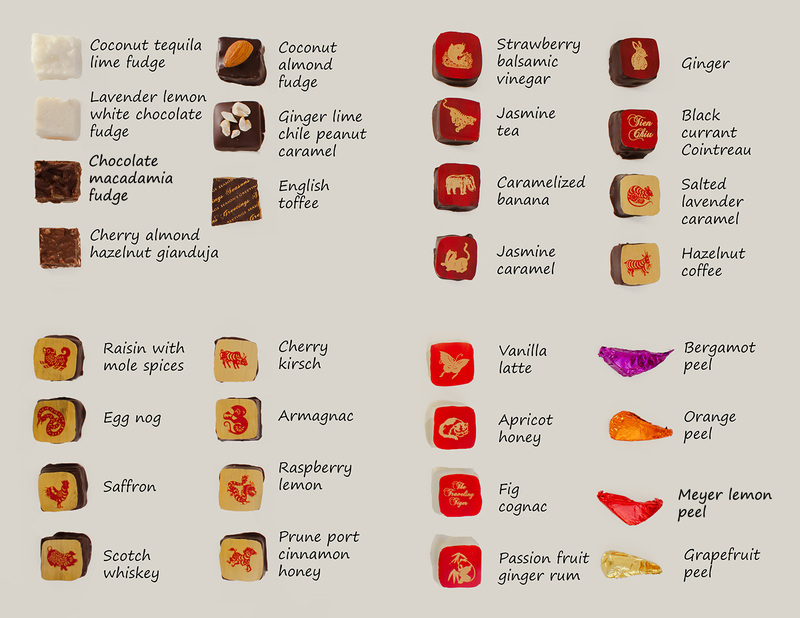 Finally, if you are interested in learning how to make chocolates, I am looking for one more helper. (I live in the San Francisco Bay Area – Sunnyvale, to be exact.) This would be over Thanksgiving weekend, and I need someone who can help two or more days. Stuff you’d be doing? Chocolatiering from start to finish – mixing the various flavors, cutting the chocolate centers, dipping and decorating chocolates, inspecting and boxing up the finished chocolates, and eating any that fail quality testing. 🙂 You’re welcome to take home the “seconds”, and I’ll give you a box of finished chocolates at the end. Plus, it’s fun! Usually all chocolates are claimed within 2-3 days (if not faster), so if you’re thinking of donating, I suggest you get your “order” in quickly. Again, you can donate here.